It is used in detection of objects during the SOP detection. 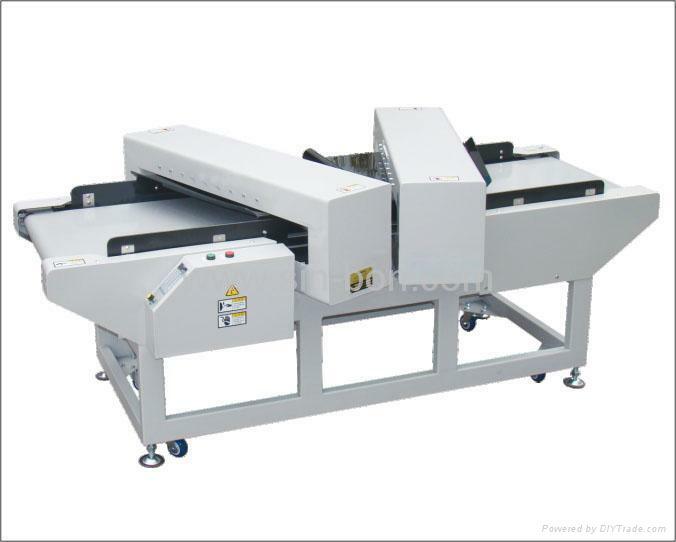 It can effectively provide the number of the qualified、unqualifide and the total of the dtection objects. It can detect the thick or the super thin object separately. It is equipped with the protection device to make the belt not leave the normal track for ever. It is equipped with the infrared device,which can start the machine quotmatically,it is not necessary to press the "start"button frequently. It is equipped with environmental protection design concept to save the electricity automatically . It is equipped with the monitor and the location indicator. It is epuipped with the auto-alarm and auto-return device. Its is featured by powerful anti-magnetic disturbance capability,high reliability and sensitivity . Used to detect high accuracy,such as clothes,foodstuffs,medicines and so on .